Filled with excitement and joyful vibrancy the look of this Fun Filled Navy Blue Poly. Crepe Short Tunic Top from Snehal Creation is extraordinary. The print on the fabric is a unique assembly of differently designed horizontal lines. 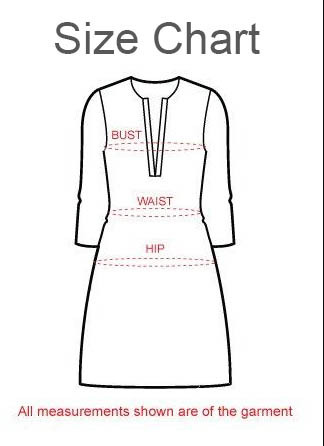 The ban collar of the tunic and short length make it a great casual wear option for everyday wear.